Published on August 24, 2015 in General Interest. 0 Comments Tags: Business Legal Advice, Lawyers, Legal Advice, Solicitors. Lawyers may seem scary and intimidating, but almost everyone will need to see one at some point in their lives. 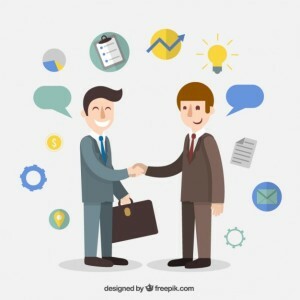 If you’ve never met with a lawyer before, don’t be afraid to ask questions and to meet with a variety of firms before settling on one you feel comfortable with. After this, it is up to both of you to maintain a healthy relationship with each other so you are getting as much as you can out of their expertise. There are many different instances where you might need a lawyer, and these can often be unexpected. Lawyers also tend to have specialties, so be sure to consider this when making your selection. For example, if you are involved in a motor vehicle accident, specialists in this field like Motor Accident Legal Service will be able to guide you most easily along every step of the way. Whatever your situation is, here are some ways to build a good relationship with your lawyer. Consistent and clear communication is key to the maintenance of any healthy relationship, and the one between you and your lawyer is no different. This also means that you shouldn’t be pestering your lawyer every day – they have other clients that are also deserving of their attention. In the same vein, make sure you provide all the information that you can so they aren’t calling you all the time to ask for clarification. In your first meeting with your lawyer, sit down and iron out some basic expectations that you both agree upon. This might include the frequency of updates, preferred methods of communication, and the delivery of invoices. Your lawyer might also give you some guidelines that they work by – every lawyer has their own little quirks. Setting such a baseline means both parties know what is expected of them, and this will make the relationship run more smoothly. Your lawyer can only help you if you follow their instructions. They are qualified professionals, and they should always genuinely do their best to help you obtain the best outcome possible. Sometimes, the best course of action might not be something you want to do, but it will definitely be worth it in the long run. You will get the most out of your lawyer if you trust them and respect their expertise. Honesty, as the saying goes, is the best policy, and this is especially pertinent when it comes to your relationship with your lawyer. They cannot help you if you omit or lie about information – this might even hinder your chances of a positive outcome. Such issues will eventually be uncovered, which might lead to your lawyer losing trust in you and possibly the deterioration of your professional relationship. Just keep in mind that no matter what kind of lawyer you end up with, the lawyer-client relationship is a two-way street. Be professional, honest and respectful, and you should not have any trouble with your lawyer. How do you maintain a healthy relationship with you lawyer? Are there differences between your approach to a personal lawyer when compared to a business lawyer? Leave your advice and experiences in the comments section down below.